Gael Greene tweets: "Just saw photo of Frank Bruni on Grub Street? Would you trade in your clunker and buy a new car from this man?" We don't see it. He's like an effete Tony Soprano. The man looks good in a pink leisure shirt. The cigar would kill his tastebuds. I call foul. 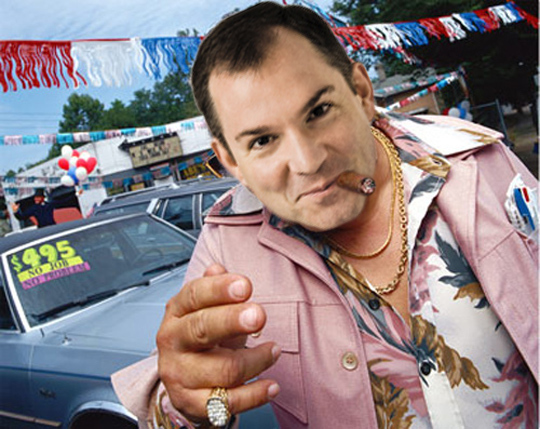 What does Frank Bruni have to do to get you into a used car today? I got a case of cannolis in the trunk. Y'interested?